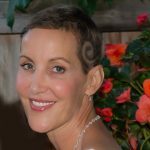 Barbara is a breast cancer survivor and the Content Curator of this site. She has 20+ years of experience in research funding and spearheaded efforts to successfully apply for a grant from the Canadian Internet Registration Authority (CIRA) to further develop this website. One of the upsides of her cancer diagnosis was the medical education that went along with it. She is passionate about sharing what she learned with other newly diagnosed patients.